Whether you’re looking for a contractor to sealcoat a driveway or a vendor of custom slate roofing, Angie’s List is undeniably the best resource for finding local contractors, material wholesalers, and more. It saves you hassle, time, and money by vetting service providers for you, and its millions of verified reviews give you invaluable insights and information about quality, reliability, pricing, and more. Auction.com is an aggregate site of properties for sale by auction, including short sales, REOs, foreclosures, and lots, as well as luxury and commercial real estate. The site provides detailed information about the properties, their opening bids, and the type of auctions where they’re being sold. Note that some of the auctions are online, which makes for easy bidding. Features include guides on bidding basics, advanced search, and an auction calendar that lists the specifics of upcoming auctions around the country. Forbes Real Estate News offers the latest news and information about all things real estate related. With both excellent reporting and timely stories, you can count on Forbes to let you in on the ground floor whenever real estate is a hot topic. And let’s face it: isn’t real estate always a hot topic? If you’re looking for commercial real estate, Loopnet should be in your favorites folder. Its advanced search function allows you to perform detailed property records searches in specific areas. It also allows you to search and compare sales, as well as view information about property taxes, owners, and tenants. While this site provides property listings, the true value of PropertyShark comes from the vast collection of property records that offer everything from owner information and sales history to air rights, zoning, and more. You can also find detailed information about neighborhoods, including demographics, schools, and crime rates. And if you’re having trouble navigating the vast site, its free learning center offers guides and tutorials that will get you set up in no time! The National Association of Realtors® website Realtor.com aggregates property listings from MLS databases from across the country, resulting in literally millions of properties for sale on one website. It also provides news and insights, as well as a feature that shows you the estimated values of properties in a specific area. Since Realtor.com also offers rental listings, it’s a good site to keep in mind if you’re looking to rent out your property. Realtytrac.com is a great site for everything pertaining to home foreclosures. Naturally, it provides foreclosure listings, but it also offers the latest news, statistics, trends, and other information related to foreclosures. FlipNerd is a great resource for newbie investors who are trying to gain that edge over their competition. This site offers comprehensive guides and in depth training courses covering all areas of real estate investing. Members can access coaching videos, interview shows, and hundreds of informative articles and blogs written by industry experts. Well-known site Trulia.com is a powerful tool for buying, selling, and renting out property. You can search by location, type of property, and financial data (including foreclosures and new construction). Moreover, its neighborhood maps include comprehensive information about crime rates, demographics, schools, hazards, and other factors that can impact property values. Zillow Rental Manager is a free service for real estate investors who own homes, condos, and apartments with fewer than 50 units. Since listings are included across its entire network of sites, you’ll reach more renters. One of its most convenient features allows you to see rental applicants’ data—including employment status, credit score, pet ownership, and more—in the online dashboard. It’s also a great resource to find professionals ranging from home inspectors to rental property managers. 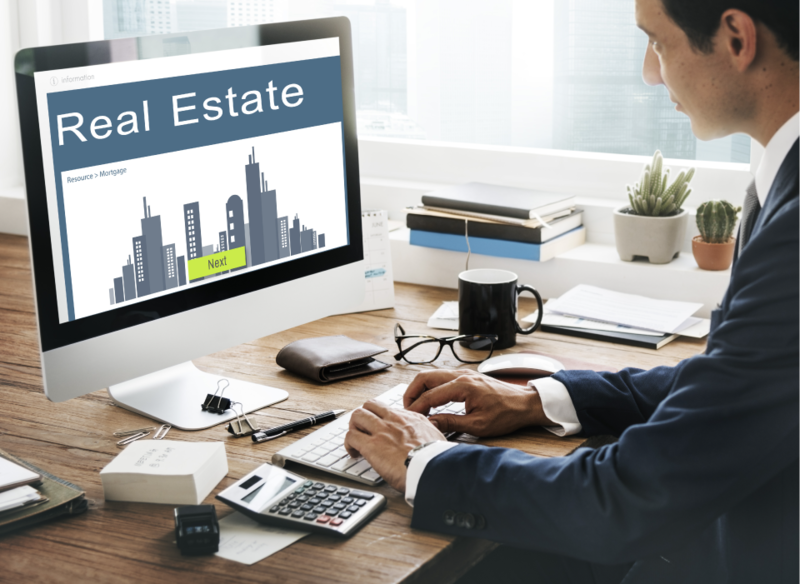 If you bookmark these 10 sites and make good use of their features, you’ll not only save yourself a significant amount of time and energy; you’ll also have everything at your fingertips to stay informed about the real estate market. LendingOne wants to save investors time when it comes to financing their deals. That’s why we have streamlined our proprietary technology to make our user-friendly online application faster and easier so investors can receive fix-n-flip financing in as few as 10 business days and rental loans in weeks instead of months. Check out more about our investment loans and apply today for an instant rate quote!